Moving to San Francisco is something many people do every year, are you thinking of making the move too? This intriguing city is located next to a very large bay and part of it borders the Pacific Ocean. It has a bridge to the north known in many parts of the world, and tourists from many nations. China Town, Little Italy, Japan Town, SoMA, the Mission, Noe Valley, the Marina district, the Presidio, Golden Gate Park — each of these areas one might consider worthy of interest, but San Francisco has multitudes. One of the peculiarly refreshing things about San Francisco is that the neighborhoods are diverse enough that you might not even know they exist–even if you live here. Moving to San Francisco could be an enriching experience and for some an adventure. The median home price in San Francisco is about $1.5 million, and the average rent is $3800. There are some small studios in places like the Tenderloin for less than $2000, and you can find shared living situations for less than that. For example, you might find a room in a house or an apartment for $1000, or an in-law unit which is similar to a studio but with no kitchen for less than $1500. Living in San Francisco doesn’t have to be extremely expensive, but you might have to look harder and longer and be more flexible. Moving to San Francisco is likely to result in some sticker shock. 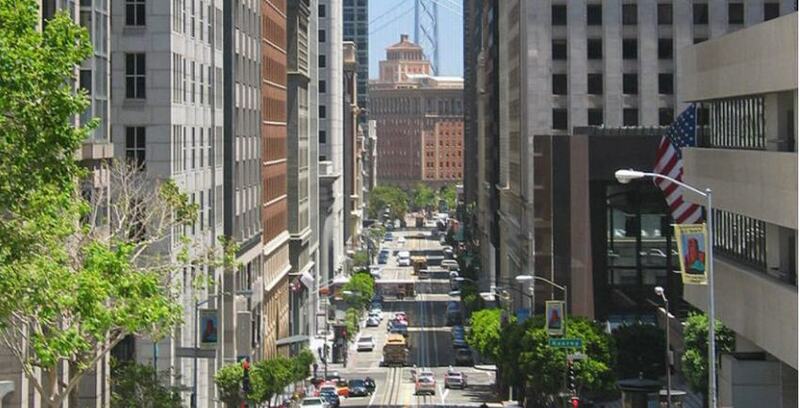 Another aspect of San Francisco culture that is well-known is the presence of both high-tech and biotech companies. Twitter, Google, Salesforce, Autodesk, AirBnB, and Uber are all familiar names, but they are so many more that there are entire websites and books written about them. Over 46,000 employees worked for the top 100 tech companies in San Francisco for the year 2016. For the immediate future, the tech sector is supposed to continue expanding. There are several hundred biotech companies in the Bay Area, and a number are in San Francisco. Genentech is one of the biggest ones, and it is located in South San Francisco, not in the city of San Francisco. Moving to San Francisco is generally done by people looking for certain kinds of jobs. You can find many different types of restaurants in San Francisco, traditional and novel. In fact, San Francisco is known for having a wide range of cuisines and high-quality restaurants. If you are coming from the MidWest, and have never been to California you might be surprised by the burritos here, and don’t forget to try a pupusa or two. You also might be surprised by the fact that some people will pay $14 for toast or $15 for a salad, but it happens. Moving to San Francisco is definitely something foodies will enjoy because of the vast array of food options. Another great thing about the food there is that you can drive fairly easily to Sonoma and Napa to find top-notch restaurants, like French Laundry, and the Girl and the Fig. Of course, Sonoma and Napa are wine country, so it isn’t only food you will find there. Vineyards, art galleries, spas, open space, beautiful views, animals, trees — they are all part of the Sonoma/Napa culture. Moving to San Francisco opens up a palate of options for food and dining in a wide variety of local places. In fact, driving further but not too far, you will find Sonora, Lake Tahoe, and Yosemite. The latter two are only about 3-4 hours driving or riding a bus. There is also a train from Emeryville which goes near both places. Proximity to Wine Country and the Sierra might be very pleasing on their own, but San Francisco is also not far from Half Moon Bay, Santa Cruz, Monterey, Carmel, Paso Robles, Lodi, Berkeley, Oakland, Marin, Palo Alto, Menlo Park, and San Jose. (Many other appealing places were skipped over for this basic snapshot.) So, in a sense, moving to San Francisco is sort of like moving to Napa and Sonoma, because you can easily access them. San Francisco is not exactly tropical in its climate, which surprises some people. It can get cold in winter and be rainier than some might expect. Even in spring and fall, you might want to wear layers or carry a jacket, because the weather can change fairly quickly, and you might find yourself rather chilled without something to cover up. The annual temperature range is generally about 50-65. San Francisco is perceived by some as being one of the most beautiful cities in the world. There are over 220 parks and open spaces to be enjoyed. The views from the city are known to be beautiful and even somewhat beyond that. For example, if you are near China Town on California Street and you look north towards, if the sky is clear you can see the bay, and perhaps Alcatraz. Boats and ships might be passing through your field of vision which most likely is framed by buildings as you look down a cross street. If the day is clear, but you might see beyond the bay to Marin. The views from Embarcadero and the waterfront are also very appealing — you can see across the water to Treasure Island and the span of the new bridge. There may very well be boats on the bay in this area too. One might say that San Francisco is sort of a cinematic city because of the how the views looking outside it are framed by buildings and streets, like the views of the bay looking north, the fog rolling over the Marin hills, and the fog appearing and disappearing in the city creating different lighting effects. In fact, San Francisco was one of Alfred Hitchcock’s favorite cities. His film Vertigo weaves the city deeply into the story, so much so that it almost seems alive in some way. Part of the reason why Vertigo works so well may be due to the fact that San Francisco is very hilly, and anyone who has driven up and down some of its steep streets may have felt a sense of panic. The central character’s issue is vertigo which can include that feeling. Moving to San Francisco is something that many people who are artistic will probably appreciate. San Francisco is an environmentally aware city, so recycling is common and solar power is growing. Car sharing is available in some areas and many people ride bikes in addition to walking. In fact, because of the availability of BART, the train system used by many, and city buses, San Francisco might be a very good place to try going carless, especially if you can find housing near your place of work. Moving to San Francisco is likely to appeal to people who like the outdoors, because there is so much open space around the city, like in Marin. San Francisco is a fairly small area which is densely packed with buildings, roads, and homes. The traffic can be extremely congested at peak traffic times and if you are stuck on a freeway or roads, you might spend hours there. So, the best bet would be to try to find housing very near where you work, so you can avoid wasting hours of your day commuting, not to mention the stress and fatigue that go along with hell commutes. The traffic can be very thick at times, so your entire San Francisco experience depends upon avoiding it as much as possible. BART is very popular because riding it is much more efficient than driving. If you are open to riding city buses, there is MUNI. if you are moving to San Francisco from outside of California, and haven’t experienced California traffic, you might not be aware of how important it is to try to live near your workplace. Doing so is critically important to your quality of life. A person who moved to San Francisco from Kansas City, Salt Lake City or Minneapolis might be shocked to see how much time can be wasted by getting stuck in peak California traffic. In the Bay Area, there are also a number of ferries which connect San Francisco to places like Oakland, Alameda and Vallejo. Yes, the Warriors really are moving to San Francisco. Of course, the Giants are very popular too. There are all kinds of college and university sports happening, because Stanford, UC-Berkeley, St. Mary’s, USF, Santa Clara University, San Jose State, and San Francisco State call the Bay Area home. The 49ers used to be in San Francisco, but they moved to Santa Clara. The Raiders are scheduled to leave Oakland and go to Vegas. Yes, Yelp is kind of a big deal for some San Franciscans who get into writing Yelp reviews — because they enjoy eating out, smartphones, and being creative. Some Yelp reviews for SF locations are actually entertaining, as well as informative. Craigslist was founded in San Francisco, yes, by a guy named Craig. So, you can use it to find housing, a car, a job, yard sales, really about anything. If you move to San Francisco, you might find yourself using both Yelp and Craigslist frequently. The Bay Area is known for being the home of Stanford University, UC-Berkeley, Santa Clara University, San Jose State and St. Mary’s, but San Francisco has San Francisco State, USF, San Francisco City College, and Golden Gate University. UCSF, the Academy of Art, and UC Hastings are all located within the city, so there are many adult students learning, living and working there. The public schools in San Francisco have mixed ratings. There are plenty with high ratings and a number with low ratings, and of course, the variance is geographic. Most, if not all parents are aware that where they live impacts the quality of their child’s education. Moving to San Francisco is something many students do for a degree program and they don’t want to live. Some community college courses are free in San Francisco too. Are there yoga studios all over? San Francisco is one of the leading cities for yoga in the United States; there is a yoga room at the SF airport too. If you are moving to San Francisco, and are interested in yoga you will be in luck. One of the first things to know about moving to San Francisco is the cost of living. This pearl of a city is one of the most expensive in the country for housing. One reason for the cost is that it’s a very desirable place to live because of the weather and natural beauty. Another is that the competition for housing surged due to the presence of the high-tech industry. Tech workers from all over the US, and beyond, frequently head to San Francisco to try to get a job in one of the established tech companies or in a start-up. For certain positions like software engineers and product managers, the salaries can be high, as well as the stock option packages promising. So, if the average software engineer makes 75k a year, with full benefits, and some are making over 100k, the rest of the workforce may trail behind, and significantly. Minimum wage is set to become $15 per hour by 2018, but rents in San Francisco are extremely high, so non-tech workers such as waiters, bartenders, etc. are going to be struggling, even if they live in a shared rental. If you haven’t lived in San Francisco, or don’t know anyone who does, at first you may not believe how expensive it is here. The very high housing costs have led to some creative living arrangements. One software engineer there wrote about living in a VW van. If you are young, you might not mind living in a very small space or having one room to yourself in a shared situation. Otherwise, you might need to be wealthy to afford to live in San Francisco. If you are middle-aged or older, you might not want to consider moving to San Francisco permanently, because the cost is simply too high. If you are determined to live in the Bay Area, you might consider moving to some part of the East Bay near a BART station like San Leandro, Fremont, Oakland or El Cerrito, because these smaller towns and cities are going to be much more affordable for housing, and riding to San Francisco on BART is fairly easy and cost-effective. Because of the high costs, one might do well to have quite a bit of saving built up, in case it takes you longer to find a job than you expected. For example, if it took you 6 months to find a job, you might spend $1500 a month on rent during that period, which would be $9,000. Of course, there would be other costs like food, transportation, and health insurance. Some move to San Francisco with a job offer in hand, so they don’t have to worry about looking for work. If you come to work at a startup, you probably would want to be prepared for a dislocation, because the failure rate for start-ups can be over 70%, and they can shut down rapidly. If you move to San Francisco without a job, it might be very wise to immediately look for a low-level job in a grocery store, driving a cab — really just about anything to bring in some money while you are looking for a better one. Being unemployed in one of the most expensive cities in the US is a great way to burn through whatever savings you accumulated before arriving in San Francisco, and have to quickly go back to wherever you came from. What is near San Francisco? So, after reading all this information, are you still interested in moving to San Francisco?